When the snow begins to fall from the sky the child in us shrieks in delight, yet as the days wane onward we become fatigued from the joy. The honey bee’s emergence into the outdoors in early spring brings renewal of life. As the Worker Bee, female, flitters from plant to plant, tree to tree, and flower to flower; it gathers pollen here and disburses it there. But like all things in nature challenges arise to the wonderous relationship between the honey bee and its environment. The oft heard cry, “the bees are dying, the bees are dying”, can be heard from all around. “It is the pesticides!”, “it is the neonicotinoids!”. Controversy abounds as article after article circulates around the globe pronouncing the doom. Science’s basis is derived from theories postulated and then carried out in experiments. Each new research paper must then be peered reviewed. But time must pass for another to replicate the research in hopes of deriving the same result. Francis Huber, a French aristocrat, blind from the age of fifteen; with the aid of his wife, Marie Aimée Lullin, and of his servant, François Burnens; set upon a course to validate or disprove the current knowledge concerning the honey bee in the seventeen to early eighteen hundred. Much of what is known today derives from his articulate research experiments conducted repeatedly over time to ensure validation. His findings were published in “New Observations on the Natural History of Bees” which was a compilation of letters he had written to naturalists of the day describing his findings. Researchers have placed drops of pesticides onto honey bees resulting in a proclamation that pesticide kills bees. When the same substance is applied to flowers surrounding bee hives the results are not apparent. In fact, bees have been captured, analyzed to detect these pesticides and none have been identified. The question becomes are pesticides harmful? But is this the true question to be addressed? Where would our agricultural effort be in the absence of any pest or disease treatment? Little known is the United States Environmental Protection Agency must approve each pesticide, neonicotinoid or other substance to be applied to our agri-crops. Once approved each respective State must then test and approve it for use within the boundaries of the State. Here in Oregon, one of the issues to be addressed prior to Oregon certification is “Bee Health”. Known amongst beekeepers is the devastation created by the Varroa Destructor Mite, a prolific pest responsible for colony losses. 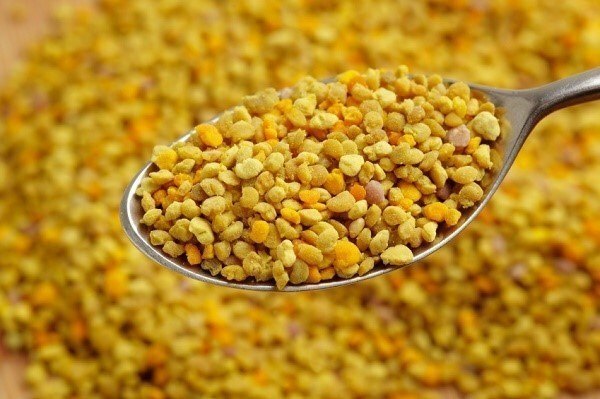 The majority of the bee enthusiasts apply chemicals in the form of miticides (pesticides) in an effort to eradicate the pest. 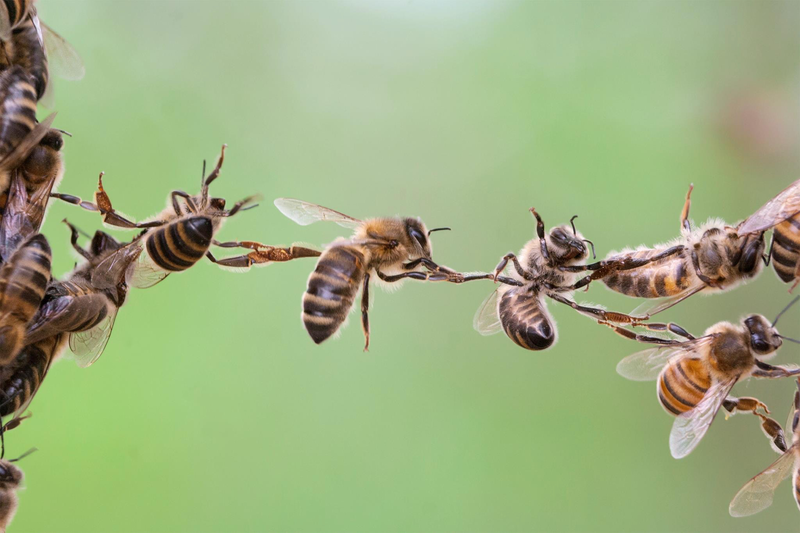 There are “non-chemical” methods but their labor-intensive efforts preclude most beekeepers from incorporating them into their management practices. 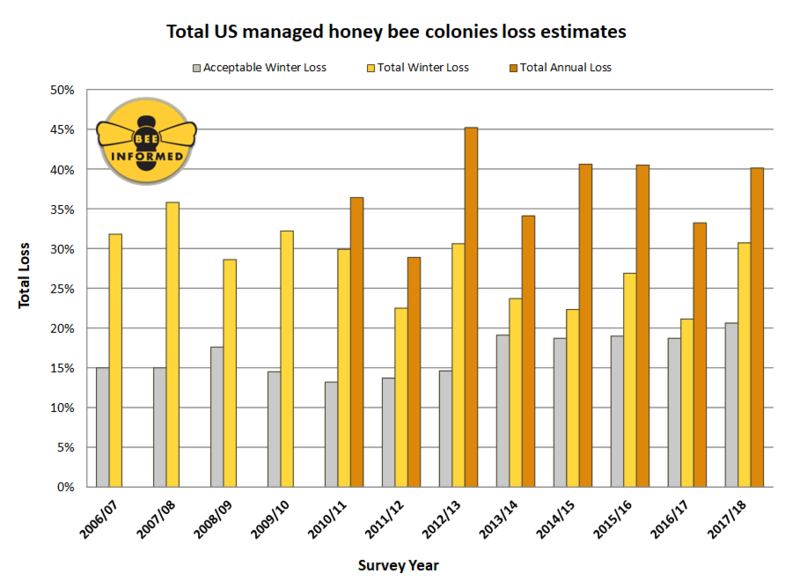 Although the colony losses reported has risen over the past few years the USDA’s annual survey of honey bee colonies in the United States remains strong. 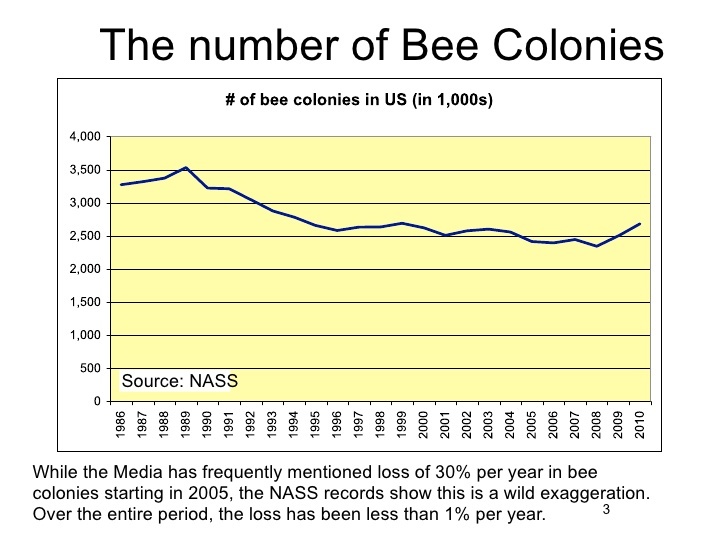 We are creating more colonies while incurring significant losses. In the final hour it is important to embody perspective to our World. The number one cause of honey bee colony loss is the Varroa Destructor Mite! Pesticides are a factor but way down the totem pole of causes to be considered.